Just a few thoughts on recent items in the news of late. 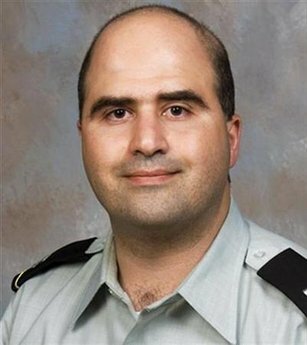 Major Hasan’s potential for mass murder was ignored by the Army prior to his attack at Ft. Hood, despite glaringly obvious clues. His many radical public statements and comments to associates (duly reported), his attendance at a radical mosque frequented by the 9/11 perpetrators and attempts to contact Al Qaeda should have rung some serious alarm bells. Nobody did a thing. The only explanation seems to be political correctness. At all costs we must not offend any Muslims. This tendency continued even as the bodies were being hauled away. Commentators in the MSM carefully avoided the obvious and refused to call the slaughter an act of Islamic Terror even in the face of the facts and that Major Hasan had shouted “Allahu Akbar” as he fired over 100 rounds into the unarmed troops. The contortions were almost funny as the talking heads explained that Hasan had “snapped” and perhaps suffered from “pre-traumatic stress disorder”. Since Hasan had never been in battle (or near it) he presumably contracted this new syndrome from anticipating his deployment or from talking to troops who had seen action. Absurd. 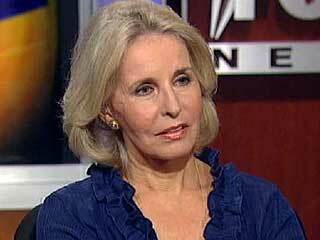 The degree to which the MSM will go to avoid calling a spade a spade was humorously on display last night when Bill O’Reilly interviewed Sally Quinn, veteran reporter of the “Washington Post”. You should watch the interview. He had to practically pin Ms. Quinn to the wall and throttle her to get her to say the words “Muslim terrorist”. President Obama did not look very good in his handling of this tragedy either. Attending a conference with American Indians he stepped to the microphone to speak to the nation about the attack. Before getting to the Ft. Hood incident he spent several minutes discussing the conference and giving “shout outs” to several attendees. Almost as an after thought he brought up the Ft. Hood shootings. Then he choppered off to Camp David for a relaxing weekend. Meanwhile, with cameras and publicity prohibited, George and Laura Bush quietly drove to Ft. Hood and met with the victim’s families. This is what a Commander-in-Chief does instead of slipping off for a weekend of R & R.
In case you missed it, the House rammed through a 1990 page health care reform bill with two votes to spare, including one lone Republican. 39 Democrats voted against it. The Dems spent a lot of time figuring out who would be permitted to vote NO and still get the thing to pass. Surely the Democrats in the safest districts (those likely to be re-elected even if caught on video snorting crack while sodomizing a sheep) voted YES with little fear. Those in districts carried by McCain or considered conservative were given a pass. This measure is highly unpopular and will prove more so as the taxes, penalties and coercion kick in. The cynical Democrat calculus is that short- term losses are acceptable, and if they can once get this implemented, will ensure a left of center government forever. They are nervous though. 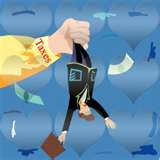 The public gets ever more angry as the unemployment rate keeps climbing (10.2%) and the debt piles up. The health care bill costs over one trillion dollars even with the increased taxes, and forcing the unwilling to purchase health insurance or face penalties, or even imprisonment. It has people more than a little concerned. Now it’s up to the Senate. They have not even released the bill yet and if Harry Reid is to be believed, it will mirror the House bill. The question remains: if the Democrats don’t have the 60 votes, will they pass the thing by “reconciliation”, the parliamentary procedure requiring only 51 votes? While it’s a highly questionable maneuver, Reid may do it as a parting gift to the liberals as it seems likely the good people of Nevada may toss him out next November. As the health care train trundles down the tracks, those busy Democrats in the Senate are quietly preparing the Kerry/ Boxer version of a cap and trade bill. You might remember that the House has already passed its version. Cap and trade is a huge tax on an already strained economy that is struggling to rise out of a serious recession. Why the Democrats figure hanging these two anchors around the necks of the taxpayers at this time is a good idea befuddles me. I guess just as the health care bill is not about improving health care or making it more affordable, the cap and trade bill is not about reducing carbon emissions. Both of these boondoggles are about power and control. And, if anyone thinks the government can effectively run health care or the energy industry, you have not communicated with the Social Security Administration or the IRS lately. Social security and Medicare are headed for bankruptcy and Amtrak and the Post Office on life support. If you think these new initiatives are a great idea, you need a reality check.